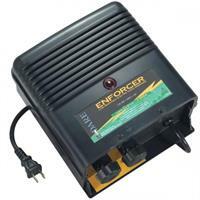 Dare Products, Inc. was born because the founder, Robert M. Wilson, saw the need for an electric fence post as well as a more convenient method of selling electric fence wire to farmers. From our humble beginning in 1946, in a small downtown office in Battle Creek, Michigan, Dare Products has become a cornerstone in the industry–offering a full line of electric fencing equipment and other related agricultural products. Many of our employees have been with the company for over 40 years, including company president Robert Wilson Jr. Having been shaped by a rich tradition of long relationships with our customers, suppliers, and employees, Dare will continue to strive to offer quality products and friendly service in the years to come. Our basic philosophy is quite simple: to manufacture and provide quality products resulting in lasting relationships with our customers. 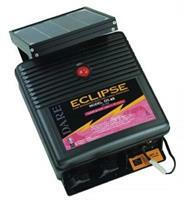 Many of our customers have been with Dare for over 60 years. Dare manufactures the majority of our products, ensuring the highest quality. We will not sacrifice quality by importing a less expensive, inferior product. 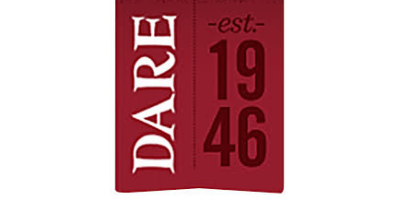 Dare Products, Inc. was born because the founder, Robert M. Wilson, saw the need for an electric fence post as well as a more convenient method of selling electric fence wire to farmers. From our humble beginning in 1946, in a small downtown office in Battle Creek, Michigan, Dare Products has become a cornerstone in the industry–offering a full line of electric fencing equipment and other related agricultural products. Many of our employees have been with the company for over 40 years, including company president Robert Wilson Jr.
Having been shaped by a rich tradition of long relationships with our customers, suppliers, and employees, Dare will continue to strive to offer quality products and friendly service in the years to come. Our basic philosophy is quite simple: to manufacture and provide quality products resulting in lasting relationships with our customers. Many of our customers have been with Dare for over 60 years. The goal at Dare Products has always been, and continues to this day, to produce high quality products at a great value, setting the standard for the industry. Since 1946, we've backed up our products 100% without written warranties and we continue that philosophy today. Unlike so many companies, Dare understands the importance of customer service. To us, this means doing business the old fashioned way - with a hand shake and live phone conversations. Dare Products was founded by two men with a strong commitment to integrity - by doing what is right for their customers, employees, business partners, and community. These principles have become the foundation of our company, passed on throughout the years.